Bahrain welcomed a total of 12.7 million tourists in 2017, a remarkable increase in comparison to the previous year. The kingdom also witnessed an 11.85 per cent increase in the number of tourists accessing the kingdom through the Bahrain International Airport, an 11.87 per cent jump in visitors through King Fahad Causeway and 23.2 per cent growth in tourists coming in through Khalifa bin Salman Port. The Kingdom witnessed significant improvement in the tourism sector in 2016 and 2017, demonstrated by the increase in the number of visitors to Bahrain from 7.7 million visitors in the first nine months of 2016 to 8.7 million visitors in the same period of 2017, registering an annual growth rate of 12.8 per cent. According to the latest statistics issued by Bahrain Tourism & Exhibitions Authority (BTEA), the total number of visitors to Bahrain during 2017 was expected to reach 13.7 million. 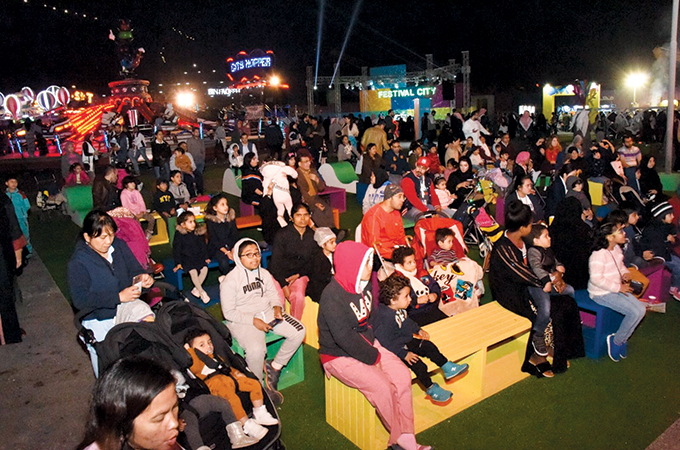 BTEA now aims to increase the number of visitors to 15.2 million by end of 2018. Looking to further enhance the Bahrain's position as a leading tourist and business destination, the Bahrain Tourism and Exhibitions Authority (BTEA) explored different projects to further boost tourism during its first board meeting for the year. Headed by the Minister of Industry, Commerce and Tourism and chairman of the BTEA, Zayed bin Rashid Al Zayani, the board discussed the latest development projects aimed at enhancing the kingdom's position as a leading destination for hosting exhibitions, conferences and incentives in the region. One of BTEA’s plans includes the development of the Manama Souq project, which entails the opening of a number of cafes and restaurants as well as various facilities and services. This will result in revitalising the souq and reviving the economic and commercial sector. The board also announced that it will be launching amphibious tours to facilitate the movement of visitors in the kingdom. During the meeting, the board also expressed its satisfaction with the positive results of the 2017 financial report as well as expressed its gratitude to the management and employees of BTEA for their sincere efforts in achieving the authority’s plans in order to position the tourism and exhibitions sector as a main contributor to the national economy. Meanwhile, the Bahraini city of Al Muharraq has been named the ISESCO (Islamic Educational, Scientific and Cultural Organization) 2018 Capital of Islamic Culture for the Arab region in recognition of its rich culture, heritage and historical importance to the Gulf region as a political, trading and economic centre. This is expected to further boost tourism numbers from the region to Bahrain. Located on the eastern shore of the country, Al Muharraq was formerly the capital of Bahrain until Manama rose to prominence in the early 20th century. Home to many architectural landmarks and ancient artefacts that pay testament to its heritage and historical importance, Al Muharraq is also known as an established centre for contemporary and ancient Islamic art. Shaikha Mai Bint Mohammed Al Khalifa, President of Bahrain Authority for Culture and Antiquities, said: “The recognition of Al Muharraq for its rich heritage and contemporary and ancient Islamic art shines light on one of the many hidden cultural gems we have dotted throughout the country." Landmarks and highlights include the Pearling Path, a Unesco world heritage site and 3.5-km trail which is home to numerous historical buildings, the defensive fortress Arad Fort, Shaikh Isa bin Ali House, and many other historical buildings that reflect the story of Muharraq. Cultural tourism plays an integral role in Bahrain’s steady path towards sustainable economic diversification and growth. The contribution of the tourism sector to Bahrain’s non-oil GDP increased by 37 per cent in 2016 and annual tourism revenues are estimated to reach $1.5 billion by 2020. The Bahrain Tourism and Exhibitions Authority (BTEA) has signed a Memorandum of Understanding (MoU) with the Information & eGovernment Authority to implement the third phase of the ‘Tourism Statistics Development’ programme in line with the requirements of the World Tourism Organization. The ‘Tourism Statistics Development’ programme aims to develop a comprehensive database, which will determine the growth and development indicators of the industry and its overall contribution to the national economy. The implementation of the programme will take 18 months to complete and is being carried out in three phases. The first phase focused on developing the programme, while the second phase focused on collecting data for the survey by interviewing passengers arriving through Bahrain International Airport and King Fahad Bridge. The interviews provided accurate data regarding the main purpose of travel and the rate of tourism expenditure. In addition, the programme measures the total revenues generated from the hospitality sector through indicators such as the length of stay, the number of restaurants visited, total nights booked, type of accommodation booked and the total occupancy rate of hotels which determines the tourism sector’s overall contribution to the GDP.